The Boker Plus Action R is offers a versatile and affordable everday carry design. 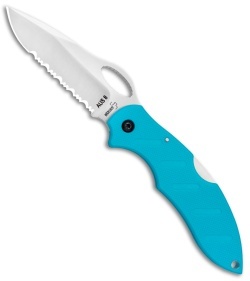 This model has a satin finished AUS-8 stainless steel blade with a partially serrated cutting edge. 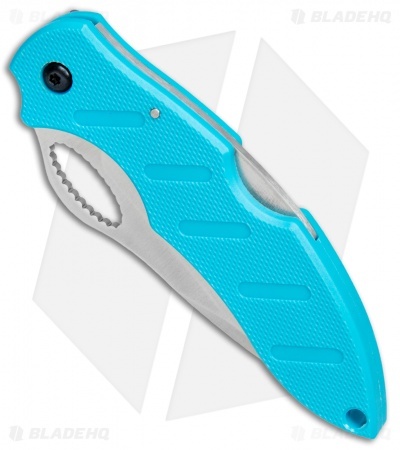 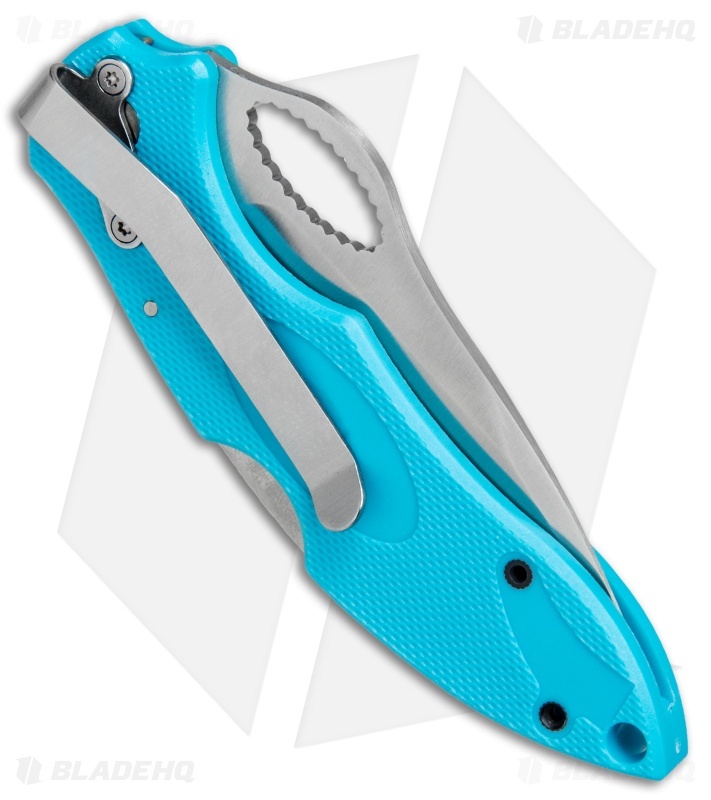 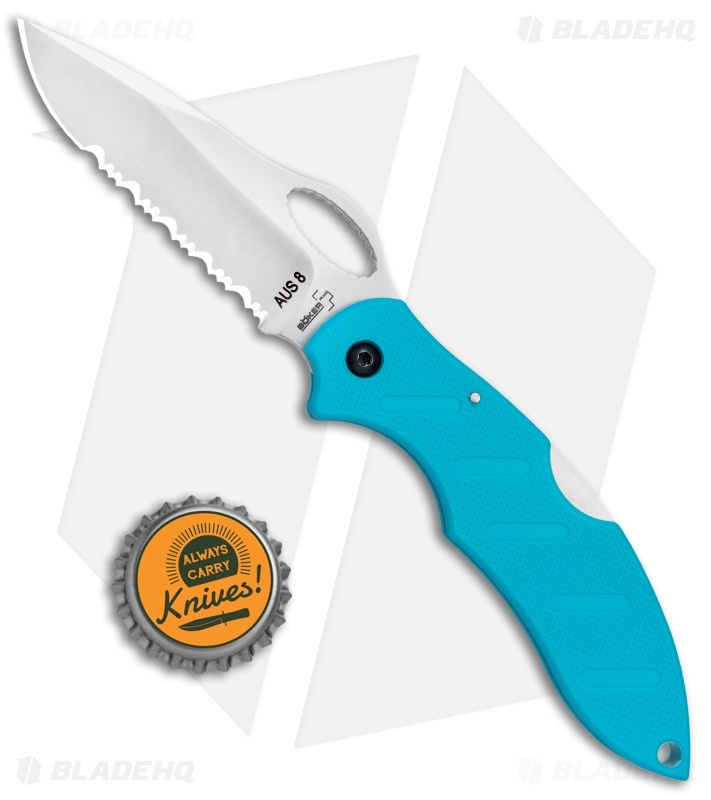 Its handle is made from turquoise G-10 with a grip-enhancing texture for secure use. The knife comes equipped with a safety backlock system and a stainless steel clip for comfortable pocket carry.